After carefully comparing three leading DJ headphones on all the important metrics, we can say without a doubt that the Audio-Technica ATH-M50x is the best choice for professionals and amateurs alike. The well thought out design and the calibration designed to accommodate across multiple frequencies are features worthy of the top spot, especially when paired with such an affordable price. 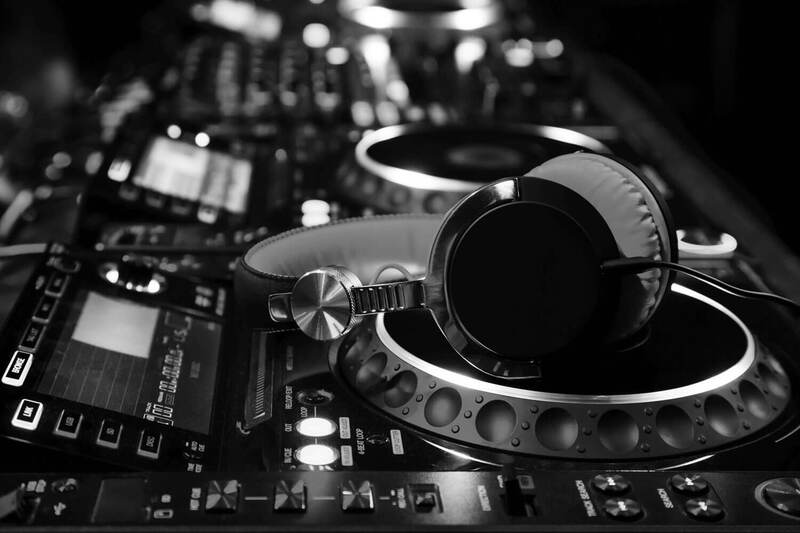 There are many aspects to consider when shopping for DJ headphones. You need to think about the comfort level, how loud they are, how flexible and last but not least, the design. Choosing a durable and high-performance pair of headphones is not enough if you want to impress the audience, and let’s face it, to be a DJ you need to put on a show not just mix beats. 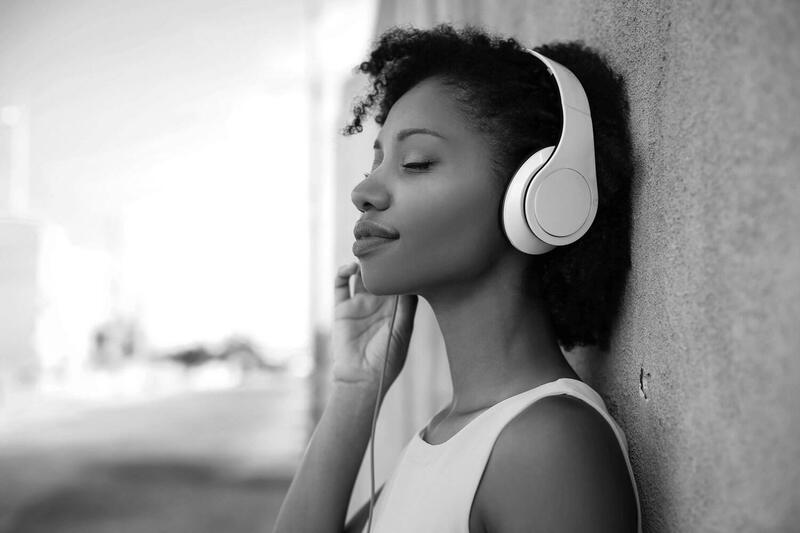 Comfortable headphones that fit perfectly on your ears are essential for long gigs. Going for closed-back models is a good idea because the more isolation they provide, the better your DJ performance will be. Details such as durability and flexibility also matter if you are the type of DJ that mixes with just one ear covered. That type of strain on the headphones can send you back to the shop rather quickly. However, not all DJ Headphones need to be judged solely on live performance capabilities. Many mixing headsets, even though they are closed-backed and offer flexibility for the ear cups, are designed for home use and studio mixing. These are great alternatives to have in your DJing kit and quite often, they outperform live headsets in terms of audio clarity in small enclosed spaces. The following article focuses on three popular, semipro to professional quality DJ headphones in the same price range. The goal is to provide potential buyers with the necessary understanding of what to look for and how to choose a good fit. Value for money and personal preferences determine the choice, however, comfort and sound quality are also crucial. Sennheiser are world-renowned manufacturers of audio equipment so they ought to know what they’re doing when it comes to noise-canceling DJ headphones. Their HD 8 model features a closed-back design perfect for isolating outside interference, while the 210-degree movement of the ear cups allows flexibility for the various mixing positions. 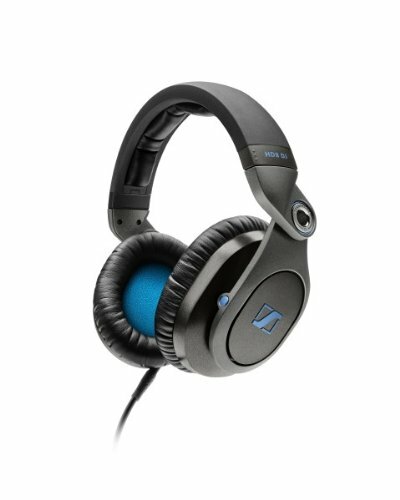 The sound quality is great as always with Sennheiser, and, with this headset, they’ve paid special attention to the low and mid frequencies. Whether you choose them for mixing in the studio, performing in a club or using them at home, you won’t bother anyone else or be annoyed by outside noise. The metallic black pattern with just a dash of blue is slick but it has an overall look of a gaming headset rather than a fancy DJ headset. As a result, it might not be the best pair to bring at parties. For studio and home use, however, feel free to use them to their maximum potential as they are sure to help you either achieve quality mixes or just cancel out whoever is annoying you at the time. The way in which the HD 8 manages to handle low and mid, while impressive, it does limit the headset’s customer basis. An amateur DJ may not notice or even care for that matter that the highs don’t sound as good as the other frequencies, but for an experienced one, this can be a total deal breaker. 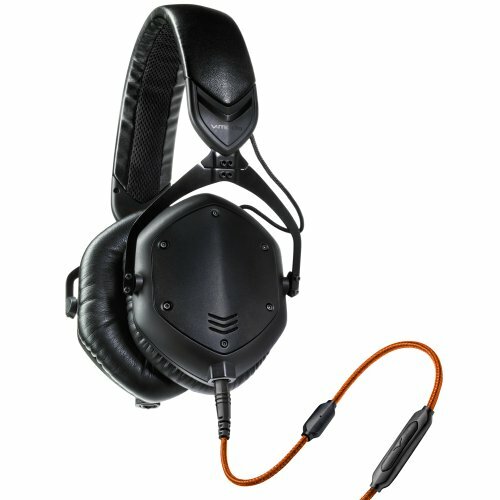 V-MODA managed to bring out something truly impressive with their Crossfade M-100, especially in terms of comfort and durability. 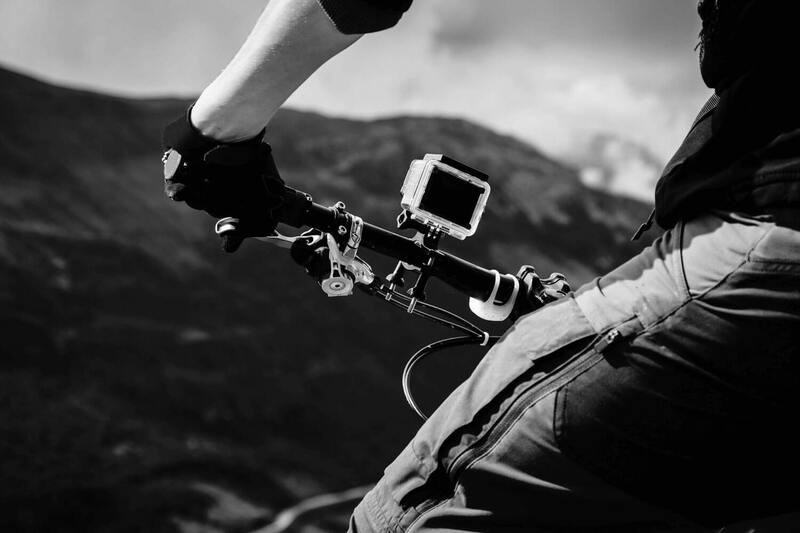 The exoskeleton is flexible enough and provides a lot of mobility to the ear cups. The custom case is perfect for carrying these headphones around on tour without worrying about any damage. With a weight of just 1.6 pounds, the level of comfort you get from wearing the Crossfade M-100 is clearly superior to that of the HD 8 from Sennheiser. They can keep you at the mixing table for a lot longer than the average headset. Add to that the closed-back feature, that’s essential for noise canceling, and you’ve got something worth buying for sure. The Crossfade M-100 focuses more on lows and highs and it renders cleaner sounds at these frequencies. So depending on your style this might just be the best fit for your studio sessions. If you prefer something that has a more general approach to audio quality and that highlights all frequencies equally, then this might not be the perfect item for you. One of the drawbacks of this product is the weird square shaped ear cups. They cover most of the ear but look a little odd, so it’s definitely not a design to everyone’s taste. Although you get excellent low and high-frequency quality audio, not having the same level of attention given to mids, is a bit disappointing. Our pick for best DJ headphones is the ATH-M50x from Audio-Technica, specifically designed for studio and home use. With a weight of 2.1 pounds, it sits in the middle on our list in terms of comfort but it has way more mobility because of its 90 degree swiveling ear cup feature, in both directions. This allows for amazing flexibility in terms of mixing with just one ear or both, whichever you prefer. 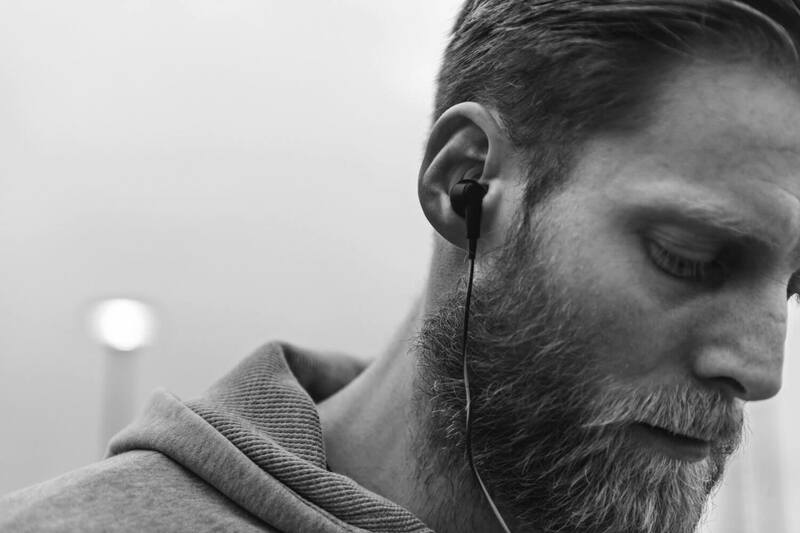 While other headphones focus on one or two frequency ranges, the ATH-M50x achieves exceptional levels of quality on low, mid and highs without compromising any of them. The circumaural design offers great noise isolation from the outside in and from the inside out. This means that you can blast high volumes at home without bothering the people next to you and that they can double as a pair of live DJ headphones if you like mixing with both ear cups on. Whenever you pay less for superior quality, questions arise as to how durable the item is. Luckily, in the case of the ATH-M50x Professional Studio Monitor Headphones, the design is long-lasting and on par, if not better, than what Sennheiser and V-MODA have to offer. The collapsible feature makes these headphones easy to store and carry on the road. This will keep them safer when traveling long distances because they stay in a very compact shape in their case. As far as DJ headphones for studio and home use are concerned, the ATH-M50x offers the best value between the previously mentioned products. Its low market value and amazing performance make it the better choice both financially and in terms of quality. We admit that the design is not the most impressive with the all-black color pattern, but neither are the ones from the HD 8 and M-100 so, for studio use or playing in small clubs, that’s hardly a drawback. The Crossfade M-100 might be the lightest model, and the HD 8 might have amazing low and mid frequency calibration but these features are not nearly enough to give them the edge over the ATH-M50x as the best studio DJ headphones. 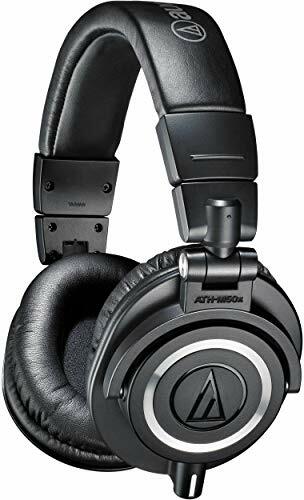 The model from Audio-Technica produces better audio quality across all frequencies, and it offers a better rotation of the ear cups, making it perfect for one ear mixing. Whether mixing at a semipro or professional level, these DJ headphones are easy to use, cheap to purchase, and they will get the job done. The sound quality is superior to that of the HD 8 and M-100, and the flexibility made possible by the retractable 90 degree swiveling ear cups gives the ATH-M50x a clear edge over the other two DJ headsets. After carefully comparing three leading DJ headphones, we can say without a doubt, that the Audio-Technica ATH-M50x is the best choice for professionals and amateurs alike. The well thought out design and the calibration designed to accommodate across multiple frequencies are features worthy of the top spot, especially when paired with such an affordable price.